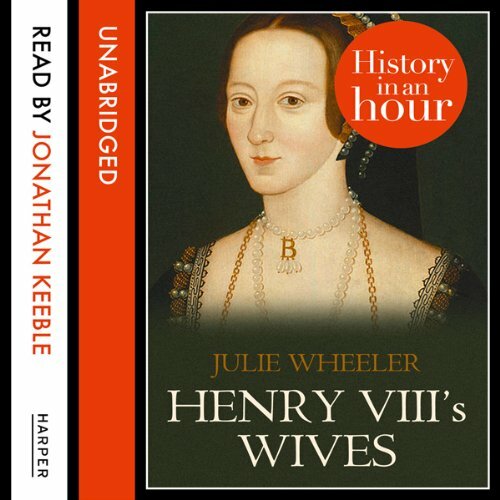 Showing results by author "Julie Wheeler"
In his ambition to provide a male heir to the throne, Henry VIII married six times. Divorce from his first wife, Catherine of Aragon, caused England’s break from the Catholic Church in Rome. He went on to divorce Anne of Cleves and behead Anne Boleyn and Katherine Howard for infidelities. Jane Seymour died and Catherine Parr survived Henry. Henry VIII’s Wives: History in an Hour will introduce you to these six entirely diverse and captivating personalities and the events that propelled them to their individual fates. Get this book! You won’t regret it.